Defending Japan started a month ago after months of wanting to get back into writing, and with the prodding of a few people over at Twitter. One of those people was Kyle Mizokami of Japan Security Watch. He helped convince me to start the blog, helped me gain some traffic, and now he’s offered me a chance to join forces. How could I refuse? From this point on, Defending Japan will be absorbed into Japan Security Watch and you will be able to find all the previous and future posts at that site. I want to thank everyone who plugged this blog and linked here, and I want to tell you how much I look forward to seeing you over at JSW. Please redirect your bookmarks to Japan Security Watch and subscribe to the RSS feed there. @defendingjapan will also change, becoming @JapanSecWatch, so current followers will continue to receive site updates. You can also follow me personally at @jamesinjapan. 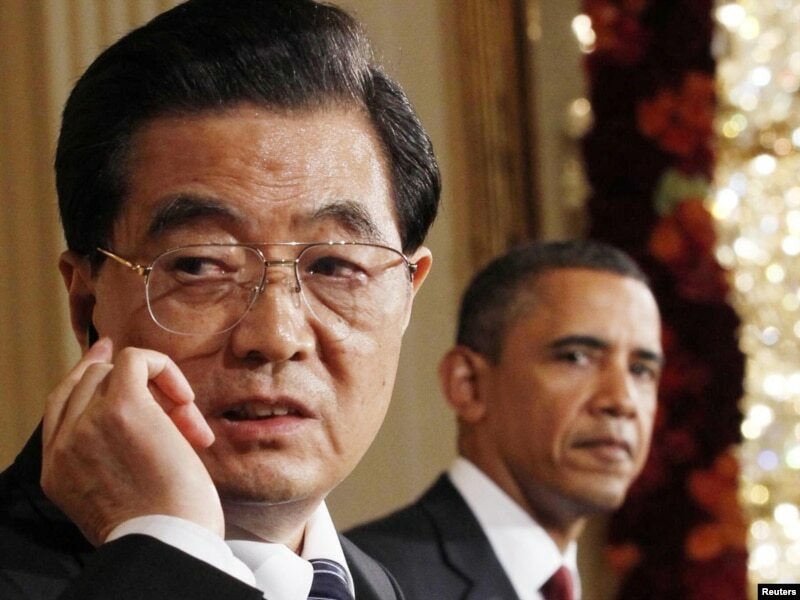 Last week STRATFOR posted an in-depth analysis of Chinese espionage in the US during 2010. The post comes as French car manufacturer Renault (alongside the national counter-intelligence agency, DCRI) investigate leaks to an unnamed foreign state after restricted information on the company’s electric vehicle development made its way into the hands of ‘persons unknown’. Chinese Espionage and French Trade Secrets is republished with permission of STRATFOR. Public Radio International’s The World carried an interesting report by Jason Struther this week on the desire of some North Korean refugees to fight liberate their former state. Andrei Lankov, a North Korea analyst at Seoul’s Kookmin University, said in the past both Koreas trained defectors to infiltrate enemy lines. But times have changed, he said, and there are at least two good reasons these North Korean defectors should not be armed. Lankov added that the Ministry of Defense is probably also concerned that these defectors could be spies. In the event of a war, former North Korean soldiers could work as pathfinders and guides, and it is hard to believe that Seoul has not considered this eventuality. However, as Lankov states above, the creation of the unit would be a provocation – such a unit could only be created with the intention of toppling the Kim regime. There would be no disguising it. In addition, going public on such a move would open the door to agents posing as refugees in the future (if not some of those already in the South). Thus, for the sake of the cease-fire and their security, South Korea couldn’t even admit such a unit even if it existed. As this blog enters its fourth week, one theme that has consistently cropped up in the news is the issue of Chinese military developments. This post marks the first in an ongoing series tracking media and blogger reactions to the growth of China’s military capabilities. China: Danger Before the Doom? China, facing an end to its economic miracle, and facing a demographic crisis in a mere twenty years, may find its beefed up military useful in securing resources sooner through intimidation or, in some cases, through outright seizure — particularly in Asia, where China’s military would have its strongest reach. A Chinese military motivated by nationalism — and perhaps an even stronger interest in preserving its power and influence within China — would find it better to be in contention with the United States than in calm. This is because U.S. pressure, whether real or rhetorical, drives China’s defense development. After two decades of military modernization it appears the PLA is pushing a hard-line agenda and becoming more willing to voice its opinion on foreign policy issues. This is a worrisome development especially as the Chinese leadership, which includes new nationalistic-minded military commanders, takes command in 2012. There is a serious danger that the U.S. image of a more assertive and aggressive China and the Chinese notion that the United States is on the decline will feed a sense of strategic rivalry—and this could become a self-fulfilling prophecy. To assume that there will be a growing military rivalry that will eventually evolve into a Cold War-type situation is the biggest risk for the United States and China. J-20: The Threat We Think it Is? 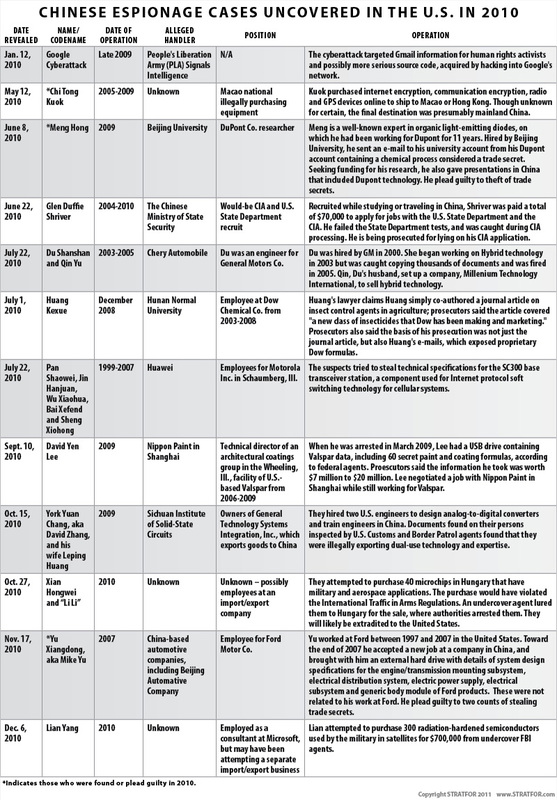 China’s ability to rapidly develop this technology shows that the U.S. can’t ignore high-end threats and must keep its R&D shops humming. If the J-20 isn’t designed to defeat the F-22 and F-35, it’s follow-on will be. Global maritime cooperation? “I would very much like the PLAN to be part of that and in fact they are.” New Chinese subs and satellites? “As we all seek to do… they clearly want to assure that operational space around the mainland and the areas they consider to be vital and important.” Growing Chinese sea power in general? “[C]onsistent historically with the economic rise of powers.” If there’s a message there, it’s that the U.S. Navy isn’t looking for a confrontation. China’s Rise = Remilitarizing Japan? Further Chinese militarisation will be met with further Japanese militarisation—and thus begins a dangerous cycle. By focusing on Japan’s past rather than a mutually beneficial future, and by embracing the worst elements of nationalism, Chinese leaders have sought to displace questions over legitimacy and internal political reform. South Korea, however, is unhappy with the current limits and would like to be able to “extend it beyond 1,000 kilometers,” according JoongAng Daily’s government source. While GI Korea at ROK Drop suggests that the limits might be in place to prevent South Korea from legitimising the North’s missile programme through pursuing one of its own, it is hard to dismiss the notion that the US is unwilling to put Tokyo in range of South Korean missiles. It also raises the question of just why South Korea requires missiles capable of hitting targets over 1000-km away. The projections above are deceptive in that they show range from South Korea’s borders. * It is most likely that South Korea just wants to able to strike anywhere in the North from bases anywhere in South Korea. However, could it also be forward planning? Beijing would also be within Seoul’s sights, for whatever that’s worth. Regardless of South Korea’s intentions, just giving it a capability that might raise Chinese ire is reason enough for the US to want to keep a lid on those missiles. 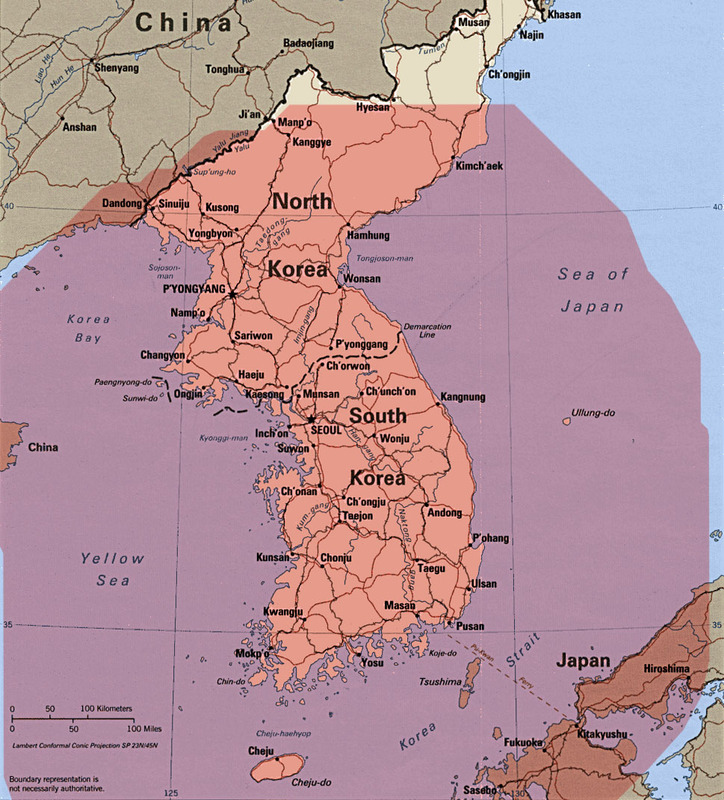 *The overlays showing the ranges as measured from South Korea’s approximate borders. This would mean that the furthest reaches of the range would require launchers to be placed near the border or DMZ making them extremely vulnerable. Thus, in reading the maps, it is necessary to subtract a South Korea-sized range in order to account for a more practical range. in Washington on January 19. The Obama administration accomplished exactly what it set out to do: stake out its positions on a wide range of issues in the U.S.-China relationship, appear strong on concerns such as human rights, bring a little forward momentum to the relationship, and get a few deliverables (on the trade and investment front) in the process. It is only normal, in any relationship, to have disagreement and friction, Hu said. But he added that a strategic and long-term perspective will ensure relations will not be affected or held back by any individual incident at any particular time. Despite this blogger’s expectations to the contrary, Hu did not offer any progress on bilateral military talks. It seems ever more likely that that option is not Hu’s to offer. One of the more important discussions between Hu and Obama manifested into a joint statement on North Korea. In the statement, there was still some support for the Six-Party Talks (in whatever form they can finally settle on – it has been suggested that the inclusion of the talks in the statement was a compromise by Washington), as well as the specific mention of ‘the DPRK’s claimed uranium enrichment program,’ which could be read as China giving some ground on North Korea’s nuclear development – although China denies such a change. Whether any of what was said will amount to anything depends on inter-Korean talks, as well as North Korea more specifically. Regardless of those mutual grounds, “Japan wanted to pay less because of its financial straits and the U.S. was hoping it would pay more in light of elevated tensions on the Korean Peninsula and China’s rising might.” It looks like Japan won out, but also allowed the US to insert a clause whereby Japan might “partially or completely compensate the United States for the cost of shifting U.S. military drills to other venues.” A hedge against developments in Okinawa? Appropriately timed, Defense Minister Toshimi Kitazawa announced that Kadena AFB’s F-15 three-week training sessions would take place in Guam from April. Japan will cover the cost of relocating the F-15 drills under a bilateral pact to partially move them from U.S. Kadena Air Base in Okinawa, so about 20 F-15s can take part in each drill on Guam, with each lasting up to 20 days. Support aircraft, including aerial tankers, will also have to take part in the drills. The U.S. military can conduct the drills alone or jointly with the Self-Defense Forces. Kitazawa also told [Okinawa Gov. Hirokazu Nakaima] that both governments reached an agreement to close the 149-acre Marine Corps Gimbaru Training Area, located near Camp Hansen. Closure of the Marine training facility was first agreed to in 1996 by the Special Action Committee on Okinawa on the condition that the helicopter landing zone would be relocated to the nearby Kin Blue Beach Training Area and other Gimbaru facilities moved to Camp Hansen. Regardless of whether or not this is the result of America having thrown Japan a bone, Kan could certainly do with the support. North Korea latest proposal for talks came on Thursday following the US-China Joint Statement on North Korea in Washington. The question remains whether North Korea will be happy to talk about those events and whether the answers it gives will be sufficient for the South. “Our position is that separate high-level talks are essential to check sincerity about denuclearization and we will propose” such talks, Foreign Minister Kim Sung-hwan said at a New Year’s reception for foreign diplomats stationed in Seoul. “If North Korea demonstrates sincerity through specific action and then six-party talks resume, our government will seek a comprehensive resolution of the North Korean nuclear issue” through its “grand bargain” idea of a one-time major deal of swapping denuclearization and concessions, he said. Until now the North has told its starving people that normalized relations with the U.S. would solve the food shortage and economic problems. But the only country in the world with the ability and willingness to help North Korea is the South. This reality seems finally to have hit the North when Seoul halted all trade and exchanges following the sinking of the Cheonan. The only way for the North to reach out to Washington is through Seoul, and only through Washington can the doors to the wider world open. One writer, Nuno Santiago de Magalhaes, was willing to connect the Yeonpyeong Island strike to the talks as part of a connected strategy to get Seoul to the table. It certainly describes North Korea’s past behaviour quite well, but it’s hard to say whether the Yeonpyeong attack was so well devised. North Korea has to play its cards right as South Korea is unwilling to taken for a ride. That might be asking too much of the North. Taiwan’s disappointing missile test = US arms opportunity? Abductee Yaeko Taguchi spotted in North Korea last year? This one was a bit of a surprise earlier in the week, but it offers useful insight into what Japan’s poor data OPSEC has done to its reputation. 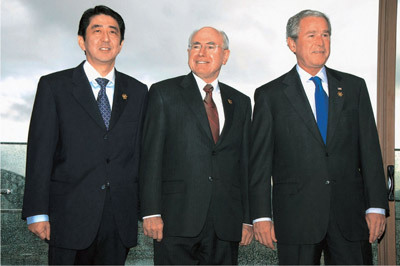 In 2006, as Japan and Australia were discussing what would become the March 2007 Japan-Australia Joint Declaration on Security Cooperation, Australia and the US discussed Japanese proposals of a greater intelligence exchange relationship on regional issues, including rising China, North Korea, and Iran. In a meeting with senior Japanese Foreign Ministry intelligence officials, [Randall Fort, head of the US State Department Intelligence and Research Bureau] urged his counterparts to tap the ”underutilised assets” represented by the global network of Japanese businesses. Japan had a ”unique opportunity” to collect intelligence inside Iran where the US had no embassy, he argued. However, Japan’s poor control over its information security left the US and Australia cold (this was a time when the MSDF were losing data to Chinese honeytraps and computer file-sharers). Indeed, Japan’s lax security are often blamed for Chinese military developments by security otaku in Japan. It is unclear to what extent this intelligence exchange grew and how well it survived Prime Minister Shinzo Abe (assuming it was his initiative – he showed interest in bilateral security exchanges and the beefing up of Japanese intelligence).